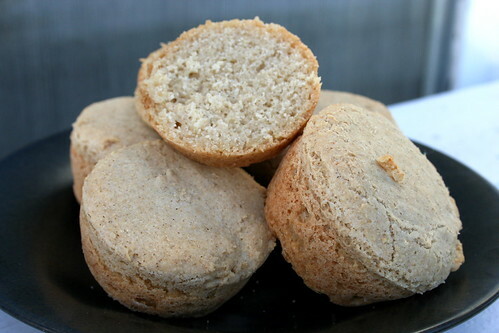 Yes, you read correctly–Gluten-Free Dinner Rolls. 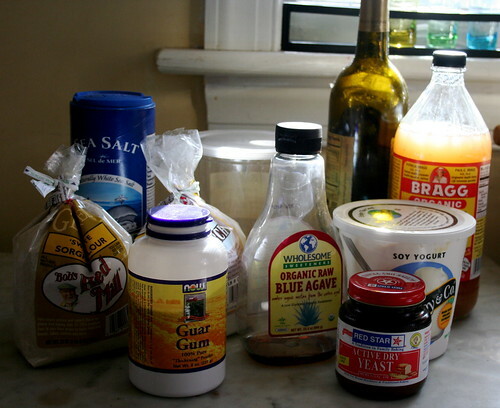 Thanks to Karina, I’ve finally made gluten-free yeast bread–and it tastes delicious! While the rolls are much more dense than your average, wheaty roll, these puppies stand on their own. You’d be happy to serve them to gluten-free and gluten-full guests alike. 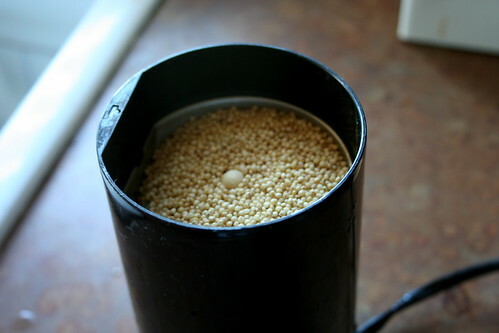 In order to save money, I bought a half a cup of bulk millet from the Natural Foods Co-op and then ground it down to a flour in my coffee grinder–a great trick for anyone wanting fresh milled flour at over half the cost of what you could buy in the store! 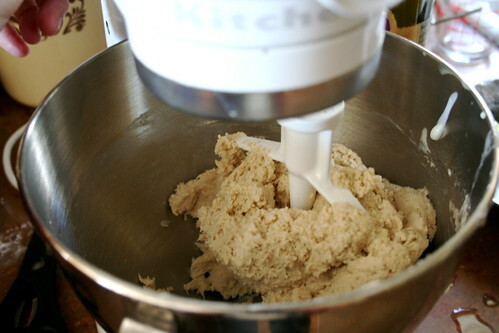 Just remember, the gluten free rolls aren’t kneaded or shaped by hand, their batter’s texture is more like a dense muffin batter. 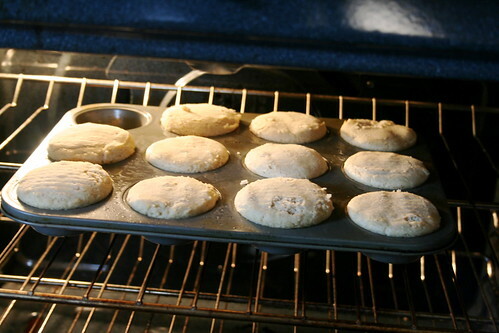 Just scoop the batter into muffin tins and voila, rolls! 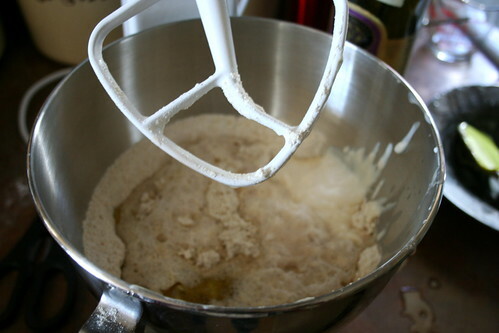 Stir the yeast in the warm water (110 to 115 degrees F) and add a teaspoon of the agave. Let it sit 5-7 minutes until poofy. 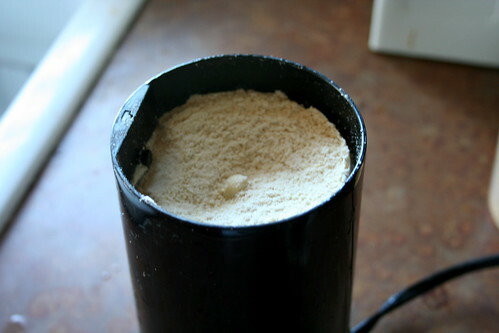 If milling your own millet flour, place 1/4 cup of millet in a coffee grinder. Grind until a flour forms. Repeat with 1/4 cup more. 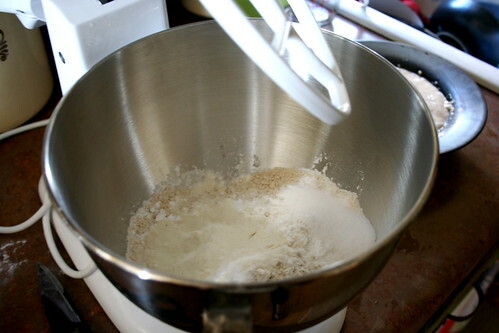 Combine the flours, salt, and guar or xanthum gum in the bowl of stand mixer or in a large mixing bowl. 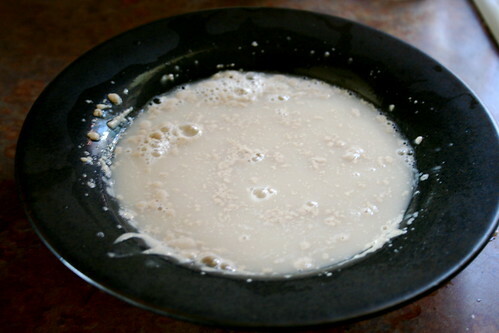 Add the proofed yeast, the remaining agave nectar, apple cider vinegar, and soy yogurt. 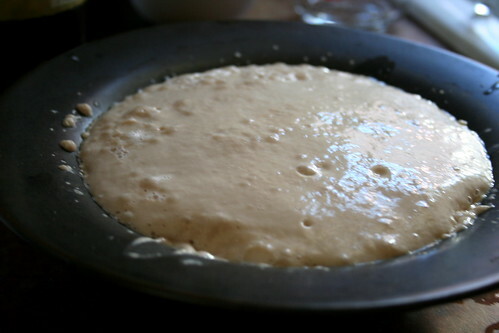 Mix until a thick muffin-like batter forms. 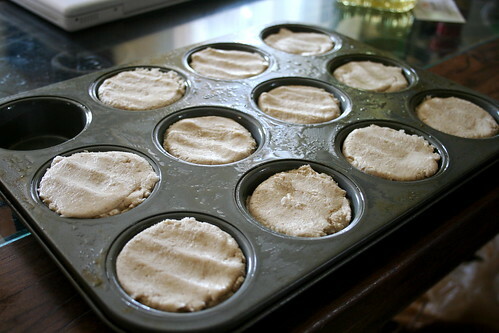 Scoop the batter into a pre-oiled muffin tin. Smooth the tops with your fingers. 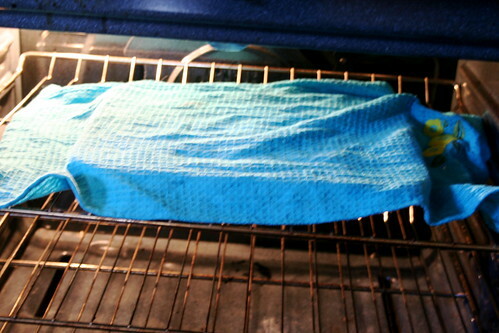 Cover loosely with a cloth and let rise in a warm place for 40 minutes. Bake the rolls for 35-40 minutes, or until they make a hollow sound when tapped. Cool on a wire rack before serving.